ERP implementation failure is rarely caused by the software itself. A recent Software Advice eBook studied a variety of companies that failed to receive the ROI they expected from ERP projects. Software issues or bugs were the root cause of problems in fewer than 20 percent of implementations. Whereas, the most common culprits were poor change management, inefficient functionality and consultant issues. All businesses have their own operations to worry about. When it comes time to implement a new ERP solution, it works best to hire an ERP partner it can trust to advise on change management strategies and help select a product that delivers the functionality the organization needs. It is very important these four goals are communicated to your ERP consultant before any implementation. 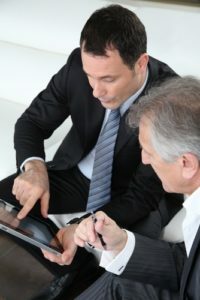 The first essential goal a consultant must be aware of is why the business needs an ERP solution. The organization should have the specific functions the technology needs to perform in order to save costs and improve efficiency documented. CIO stated a documented list of program requirements is essential for ERP selection, integration and implementation. The more specific the goals, the better. A business needs to find an ERP partner familiar with its particular industry. When researching possible consultants, a business could start by getting referrals from non-competitive local companies in a similar industry. When discussing demands for improved operations, company decision-makers need to evaluate the ERP solutions and see if it fulfills the organization's particular challenges. Businesses should also find an ERP partner willing to make in-person visits and spend plenty of time on discovery. Money should always be at the forefront of an organization's mind. An ERP solution is an investment and the business must be sure it has resources to cover the cost. Not devoting enough financial resources to a project can mean a company ends up with an inflexible software program that is poorly implemented and thus poorly utilized by employes. During initial meetings with an ERP consultant, a company must bring all relevant financial data to the interaction. Businesses should communicate how much of the budget is available for implementation, what disruption could cost the company and how much the ERP solution should cut down on future expenses. A good ERP partner should help a business find a cost-efficient software solution designed around a company's particular needs. A company doesn't just invest money into ERP implementation; an organization needs to devote the time of managers and employees to learn the new business software to ensure user adoption. ERP consultants should come to the table with proven strategies for efficient implementation that limit business disruption and efficiently use the allocated company time. 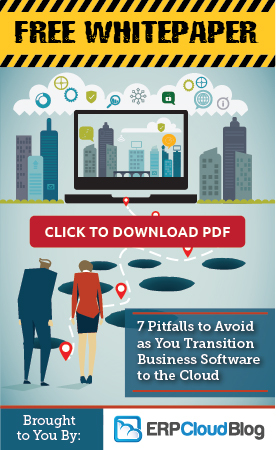 Companies can shorten necessary schedules by carefully preparing for software adoption. There are several best practices for ERP implementation preparation and much to be done before reaching out to a consultant. A business must select an implementation team, delegate software adoption responsibilities and carefully vet potential ERP suppliers. If a business is ready for purchase, the ERP partner and the organization can start implementation schedules on the right foot. New technology helps cut down on the common causes of implementation disruption. The Thoughts on Cloud Blog described how many businesses use a cloud-deployed ERP solution to gradually transition data processes. Companies should work with an ERP consultant well-versed on all of the advantages of new technology. The Software Advice eBook shared the example of a makeup company that failed at their ERP implementation because it didn't provide enough resources for training or secure end-user support for the new solution. The employees in the company who will actually use the software must be a high priority topic of conversation in initial meetings with ERP partners. An ERP partner ready with training procedures or suggestions is the best choice for businesses. Many organizations rely on ERP representatives walking end users through early implementation processes. A business must gather feedback from employees about software goals before meeting with an ERP partner. A consultant should be eager to hear how workers want the program to function and what needs to happen during implementation to ensure buy-in from the total company infrastructure.